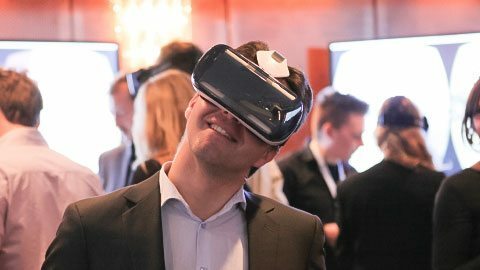 With interactive VR keynotes, VR seminars, VR strategy workshops, and with a new VR business report, we offer you various opportunities to get to know and implement VR into your business processes. Since 2013, we are eagerly following the rapid development in the field of virtual reality. Since facebook 2014 has acquired Oculus VR for $ 2.3 billion, it’s clear that virtual reality became the new must-have for innovative presentations. Many other well-known companies such as Samsung, Zeiss, Sony, HTC, Google, Acer, Levono and Dell have already brought the VR technology into the market. Current challenges facing VR technology will be evaluated in the different consultancy services from present4D. Based on universal cross-industrial use cases, our VR experts demonstrate how this technology can be used in every type of industry. 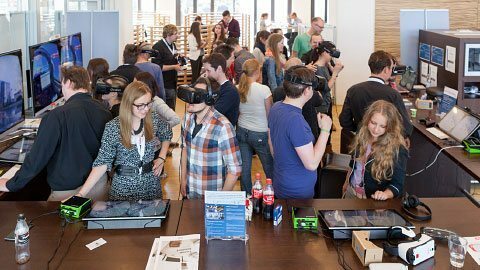 Experience VR with your colleagues, partners or customers. 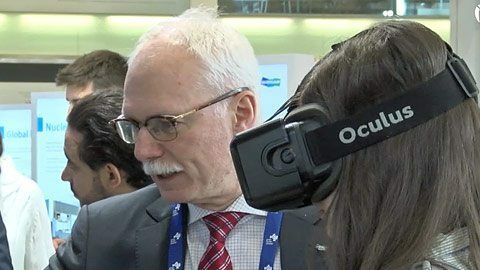 Virtual reality as an event highlight. VR is as if you were actually there! A future technology that is just becoming reality. We offer you an impressive, exciting and humorous voyage of discovery into the virtual world. How can Virtual Reality be used? Experience Virtual Reality with many practical examples. 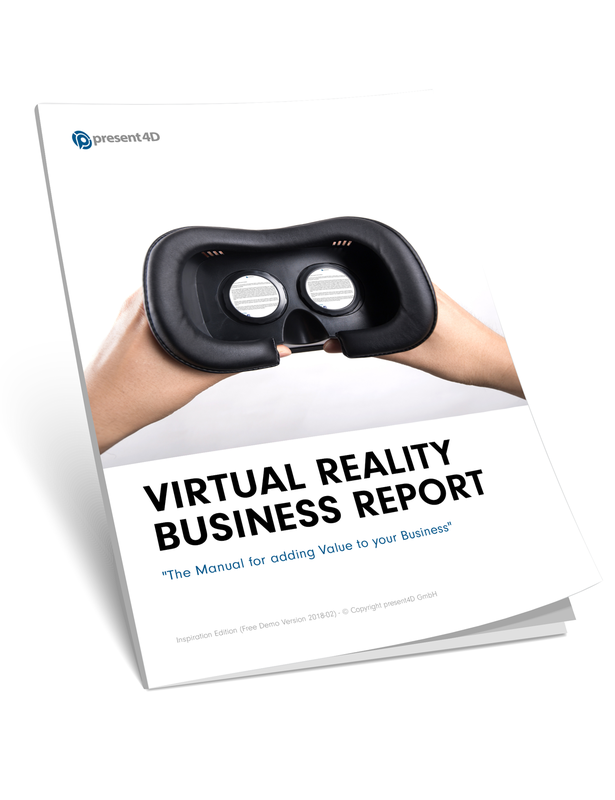 Work with our experts to create a long-term, sustainable virtual reality strategy for your business. Customer Value Map, Creativity techniques, trend analysis, Design Thinking, Cross-Industry, Osterwalder Canvas, Prototyping, Storytelling etc. There has never been such an intense and emotional medium. It is now advertising and marketing strategies for events, point-of-sale and the mass market to develop. They are virtually at the scene. So real and immersive that the contents can be conveyed optimally from a perceptual-psychological point of view. Also use VR to share your knowledge in collaborative multi-user mode. Transport your change processes with new and innovative possibilities.